Live in regions in Australia that can reach (115 f) in the summer ( Sirs discover ). "Koalas usually hang out in eucalyptus trees". (Sirs Discover). 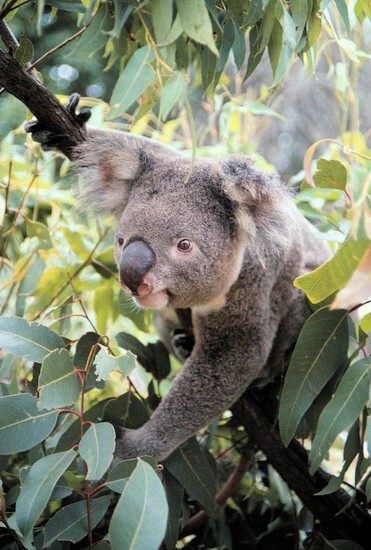 Koalas only live in eucalyptus woodlands on the eastern side of Australia. (Leach 4). Koalas move with their limbs and long claws. It climbs upright holding up its leg and arms. "Long strong thigh muscles make its legs more powerful than other animals of its size"(leach 5). Koalas ears are fluffy which provide good hearing. Kolas fur is waterproof which protects them from rain, heat and cold. (Leach 5). Only female Koalas have a pouch which is hidden. (Leach 5). " The koala has very good scene of smell. The nose looks like bare skin but it covered with very fine hairs . Many people think it is a bear for it name but it is actually not . 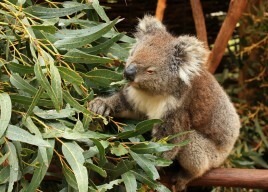 Koalas diet depends on eucalyptus leaves (Sirs Discover). Eucalyptus have microbes which are bacteria's that help with digestive system. 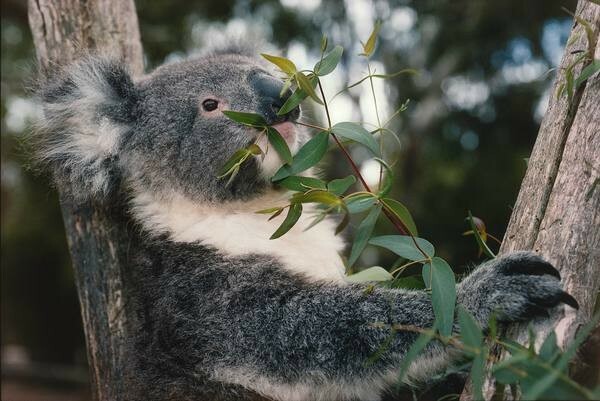 (Leach 28) "Eucalyptus leaves take a long time to digest and do not contain many nutrients"(Leach 28). Eucalyptus catain oils which make kolas coats waterproof. "A female koala usually has one baby. Twins are rare. Most births are in midsummer, December, or January"(Leach 14). 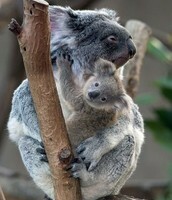 A baby koala is refer as a Joey. When the babies are delivered the Joey's stay on the mothers back for saftey. 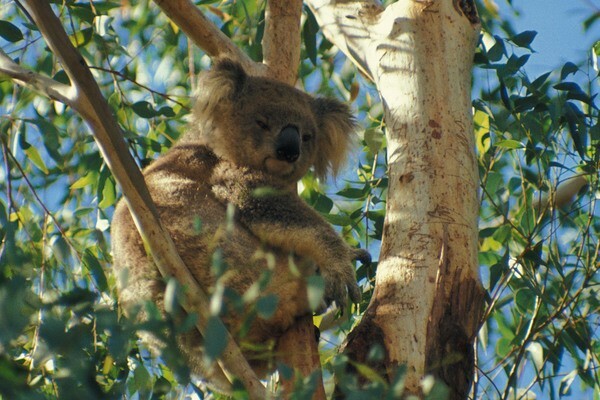 Koalas are nocturnal sleep at the day and night they are active. The can live in hot temperatures which are in Australia there coat protects them from the hot. They saty up in the tress about all their life they eat, mate, and are born there. 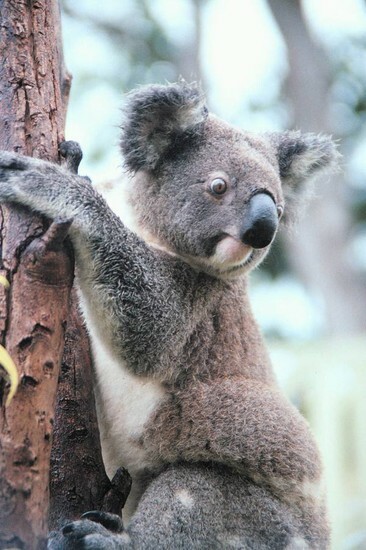 Koalas classification is Phascolarctos cinereus. (World book Advanced). Andrew, Klein. "Chilling out." SIRS Discoverer. Sirs, Mar. 2015. Web. 10 May 2016. <http://discoverer.prod.sirs.com/discoweb/disco/do/article?urn=urn%3Asirs%3AUS%3BARTICLE%3BART%3B0000371171>. Chris, Jozefowicz. "Follow the Koala." SIRS Discoverer. Sirs, n.d. Web. 13 May 2016. <http://discoverer.prod.sirs.com/discoweb/disco/do/article?urn=urn%3Asirs%3AUS%3BARTICLE%3BART%3B0000268096#>. 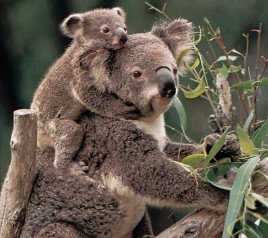 Denmark: Koala Population. Discovery Education. N.p., n.d. Web. 14 May 2016. <https://app.discoveryeducation.com/learn/videos/EDA09A83-5060-4F5A-8115-E2CAF41300F1?hasLocalHost=false>. Fuqua, Pual. "Koala in Tree." Discovery Education. Discovery Communications, n.d. Web. 13 May 2016. <https://app.discoveryeducation.com/search?Ntt=koala#selItemsPerPage=20&intCurrentPage=0&No=0&N=0&Ne=&Ntt=koala&Ns=&Nr=&browseFilter=&Ntk=&indexVersion=>. Gray, David. "Baby Koala with Its Mother." Sirs Discover. Sirs, n.d. Web. 10 May 2016. <http://discoverer.prod.sirs.com/discoweb/disco/do/picture?picurn=urn%3Asirs%3AUS%3BIMAGE%3BTHM%3B0000162745>. Keiser, Anne. "Koala with Baby." Sirs Discover. Sirs, n.d. Web. 10 May 2016. <http://discoverer.prod.sirs.com/discoweb/disco/do/picture?urn=urn:sirs:US;ARTICLE;ART;0000367860&picurn=urn%3Asirs%3AUS%3BIMAGE%3BTHM%3B0000165973>. "Koala Eating." Discovery Education. Discovery Communications, n.d. Web. 13 May 2016. <https://app.discoveryeducation.com/search?Ntt=koala#selItemsPerPage=20&intCurrentPage=0&No=0&N=0&Ne=&Ntt=koala&Ns=&Nr=&browseFilter=&Ntk=&indexVersion=>. "A Koala in Mackenzie Sanctuary Healesville, Australia." Discovery Education. Irc, 2005. Web. 15 May 2016. <https://app.discoveryeducation.com/search?Ntt=koala>. "Koala in Tree." Discovery Education. Discovery Communications, n.d. Web. 13 May 2016. <https://app.discoveryeducation.com/search?Ntt=koala#selItemsPerPage=20&intCurrentPage=1&No=20&N=0&Ne=&Ntt=koala&Ns=&Nr=&browseFilter=&Ntk=&indexVersion=>. "Koala in Tree." SIRS Discoverer. Sirs, n.d. Web. 10 May 2016. <http://discoverer.prod.sirs.com/discoweb/disco/do/picture?picurn=urn%3Asirs%3AUS%3BIMAGE%3BTHM%3B0000114940>. "Koala on Tree Trunk." Discovery Education. Discovery Communications, n.d. Web. 13 May 2016. <https://app.discoveryeducation.com/search?Ntt=koala#selItemsPerPage=20&intCurrentPage=0&No=0&N=0&Ne=&Ntt=koala&Ns=&Nr=&browseFilter=&Ntk=&indexVersion=>. L, Aguee Micheal, ed. "Koala." World Book Advanced. N.p., n.d. Web. 12 May 2016. <http://www.worldbookonline.com/advanced/article?id=ar303400&st=koala#tab=homepage>. Leach, Micheal. Natural World Koala. N.p. : Raintree Steck-Vaughn, n.d. Print. Natural World Koala. 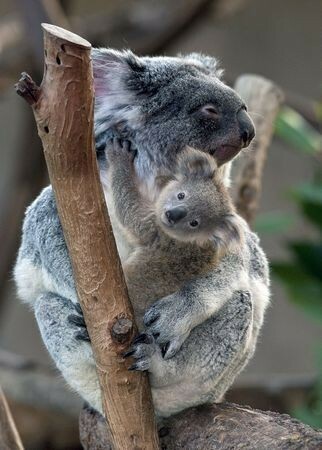 "Mother Koala Holds Her 8 Month Old Female Joey at the San Diego Zoo." Gale Research. Gale, 8 Jan. 2010. Web. 10 May 2016. <http://go.galegroup.com/ps/retrieve.do?sort=RELEVANCE&docType=Photograph&tabID=Images&prodId=MSIC&searchId=R2&resultListType=RESULT_LIST&searchType=BasicSearchForm&contentSegment=&currentPosition=2&searchResultsType=SingleTab&inPS=true&userGroupName=auro18260&docId=GALE%7CCT4099913821&contentSet=GALE%7CCT4099913821>.